Medicinal Marijuana is proving its benefits in independent studies daily. As more and more states are approving legalized marijuana for users over 21, or medical reasons for patients over 18, the benefits are turning up in unexpected ways. Experts have been suggesting medical marijuana would help with opioid addiction, and now studies are proving them right. In a study published on Monday in the JAMA Internal Medicine Journal, comparisons between opioid prescription patterns in states that have legalized medical marijuana laws and states who have not fully legalized medical cannabis. Another study focused on the opioid prescriptions covered by Medicare Part D between 2010 and 2015 and opioid prescriptions covered by Medicare between 2011 and 2016. In the study that compared the states with legalization vs without, states with 2.21 million less daily doses of opioid prescriptions per year under Medicare part D, compared to without the legal medical cannabis laws. Opioid prescriptions under Medicaid also dropped by 5.88% in states with medical cannabis laws compared with states without such laws, according to the studies. Medicare part D covered patients are given the optional prescription benefit plan for those who have Medicare which covers 42 million Americans in people over 65 and older. Medicaid is the low income health coverage option that covers 73 million people in the US, according to the program’s website. Since 1990, opioids have increasingly become one of the worst epidemics this country has ever seen. Between 1990 and 2000, 500,000 people were dead from opioid overdoses, more than the amount of American’s killed in World War 2. The following 16 years the increase continued. In 2016, 64,000 people were dead to opioid related deaths. The Vietnam war had 58,220 casualties. At the current rate, 90 American a day are dead from opioid overdose, which ends each year with an expected 42,000 deaths, according to the Centers for Disease Control and Prevention. Opioids kill more than motor vehicle accidents and shooting deaths as the most common cause of accidental deaths in the US. But Marijuana has shown to be effective in treating chronic pain, seizures, certain mental disorders and Multiple Sclerosis according to the National Institute on Drug Abuse. The research suggest the cannabinoid and opioid receptor systems rely on common signaling pathways in the brain, including the reward system from dopamine signals that is important to drug dependence, addiction and tolerance. Marijuana is widely known to have little addiction potential and no known overdose deaths in the United States, according to Bradford. In a study from 2014, it showed states that have legalized medical marijuana had 24.8% fewer overdose deaths between 1999 – 2010. A study held 3 years later in 2017 further found that the legalization of recreational marijuana in Colorado reversed the increasing trend in opioid-related deaths. The first state to approve medicinal use was California in 1996, and since then 29 more states and the District of Columbia have followed. These states have included chronic pain treatment in the approved medical conditions for marijuana use, according to Bradford. States who furthered the legal recreational use of marijuana saw an addition 6.38% of opioid prescriptions under Medicaid compared to those who just allowed marijuana for medical use, according to Hefei Wen, assistant professor of health management and policy at the University of Kentucky and a lead author on the Medicaid study. The team that looked at Medicaid patients also found that the four states that switched from medical use only to recreational use — Alaska, Colorado, Oregon and Washington — saw further reductions in opioid prescriptions, according to Wen. 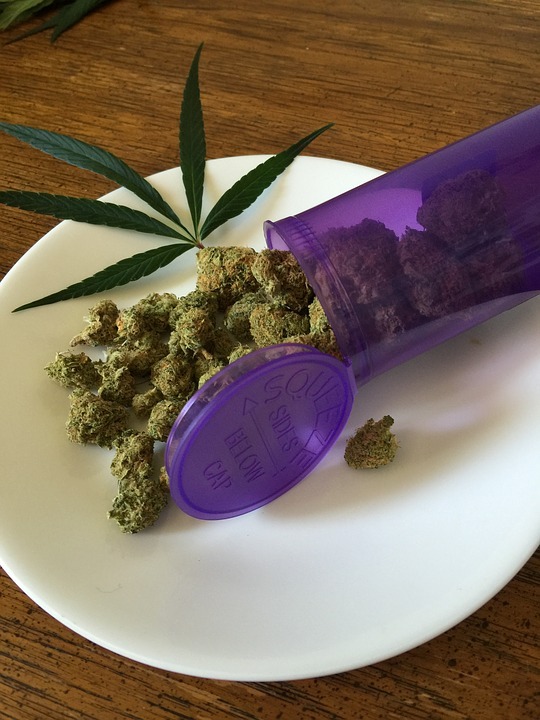 And the prescribing numbers were directly affected by the access of medical marijuana. States with medical marijuana laws had 20.7% fewer morphine prescriptions and 17.4% less hydrocodone prescriptions compared to states without the medical laws. The increasingly popular and fatal drug Fentanyl prescriptions prescribed under Medicare part D also fell 8.5% in states that had the medical cannabis laws, but the different was not as statistically significant admitted Bradford. Fentanyl is heroin’s synthetic cousin that is 50 to 100 times more potent than morphine, and has been known to be fatal in the smallest amounts. The skeptics have argued that the marijuana legalization could worsen the opioid epidemic, as a study from 2017 showed a possible connection between the two in the US. Most importantly the difference between illicit cannabis use and legalized cannabis use, which would further prove why legalization would be necessary, according to Hill. The two studies only looked at patients who were enrolled on Medicaid and Medicare Part D, so a large amount of the population have not been accounted for. Private insurances make it more difficult to study with the lesser amount of shared information to be studied. But with a combined 115 million people studied within Medicaid or Medicare Part D, it does show just how many people have benefitted from the legalization of medical Marijuana in their state.